We’re going to brag (just a little). We make some delicious breakfasts! Our guests leave full, happy, and satisfied. Because of this, we get lots of questions about how we do it! One of the most frequently asked questions we receive is about our scrambled eggs; how we make them fluffy, how we keep them warm, etc. Scrambled eggs may seem like a simple dish, but they can be difficult to make well. Because of this, we’ve put together a list of the 7 rules we follow that help us make scrambled eggs that are fluffy and delicious! You can’t always out-cook your ingredients. Scrambled eggs are simple and you don’t need any extra add-ins to make them shine. Choose fresh eggs (farm fresh is best!) and a really good quality butter (or other oil). There are dishes out there where you can use dupe ingredients for a delicious final product, but great scrambled eggs are just not one of them. Trust us when we say you WILL notice a difference here. If you end up with eggs that are dense and flat instead of light and fluffy, chances are, the eggs were not beaten well enough before cooking. How do you know you’ve beaten them enough? Your beaten egg mixture should be a light yellow color with no clear streaks left. When this is done, the egg white proteins will be equally distributed and act as a support for fats present in the yolk. This is what keeps them fluffy! We also mentioned this important step in our recipe for our Gourmet Gingerbread French Toast! You can click here to check out that recipe. You do not need milk to make eggs fluffy. In fact, the milk will add additional water that will leave you with wet, separated egg curds. If you don’t like wet eggs and attempt to cook extra liquid off, they will turn out overcooked and a bit rubbery. Milk does not add any richness that good quality eggs and butter cannot provide on their own. Not every pan is right for making scrambled eggs. If the pan is too large, the eggs will cook too quickly, leaving them flat and tough around the edges. If the pan is too small, they will cook unevenly, creating a mixture of both over and under-cooked eggs. Our rule is that the egg mixture should fill the pan a 1/4 of an inch up the side. 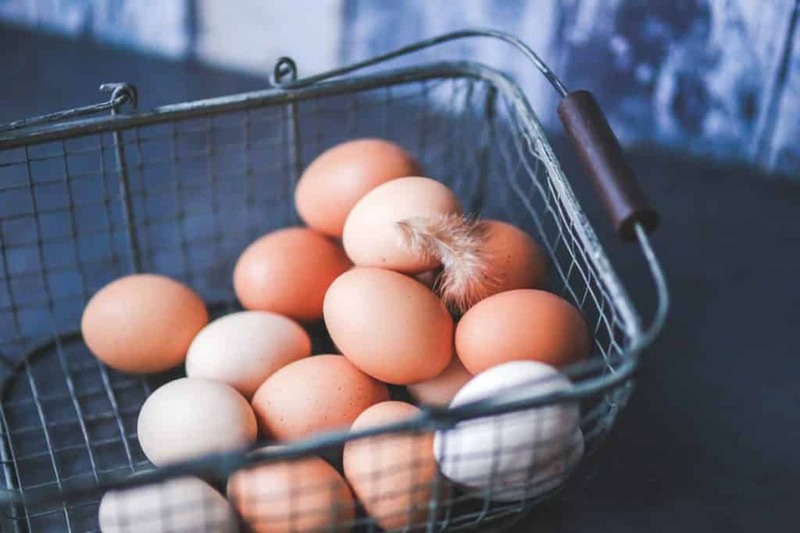 We recommend using a ceramic or nonstick pan, as these tend to cook the eggs gently, however, a high-quality stainless steel pan will work great, too. While cast iron pans work well for fried eggs, we don’t recommend using one for scrambled eggs. The cast iron tends to get very hot, cooking the eggs too quickly. The existing seasoning of the pan may also be released during cooking, causing the eggs to be discolored. Do your eggs get stuck to the pan? One reason is that you may not have greased the pan well enough. The trick is to grease the pan so that there is a layer of fat between it and the eggs. The best way to ensure an even coat is to add your fat to the middle of the pan and allowing it to melt. Once the butter has melted, pour the egg mixture into the center of the melted butter. The egg mixture will spread the butter evenly beneath and around the edges. The temperature of the pan is one of the most important factors for egg making. If you add the eggs when the pan is too cold, the eggs will mix with the oil on the pan allowing them to then stick. However, keeping the temperature too high will result in burned or overcooked eggs with tough edges. Start with a medium high heat to melt the butter until it just starts to bubble. Add the eggs at this point (you should hear that satisfying sizzle!). Let the eggs sit for 1 minute and then begin to stir. At this point, turn down the temperature to low to finish cooking. There is nothing worse than watching as your soft peaks of light yellow eggs turn grey as they start to overcook. We always recommend that you prepare the scrambled eggs last, once everyone is ready to eat. Scrambled eggs are almost impossible to “keep warm” and will turn grey and unappetizing quickly. Warming your breakfast may seem like an unnecessary extra step, however we highly recommend it. When you put warm food on a cold plate, the heat from the food is lost. This is especially true for scrambled eggs. I don’t think we need to convince you of how unappetizing cold scrambled eggs can be. We definitely recommend that you try warming your breakfast plates at least once. We promise you’ll notice a difference in your scrambled eggs! Want to try our scrambled eggs for yourself? 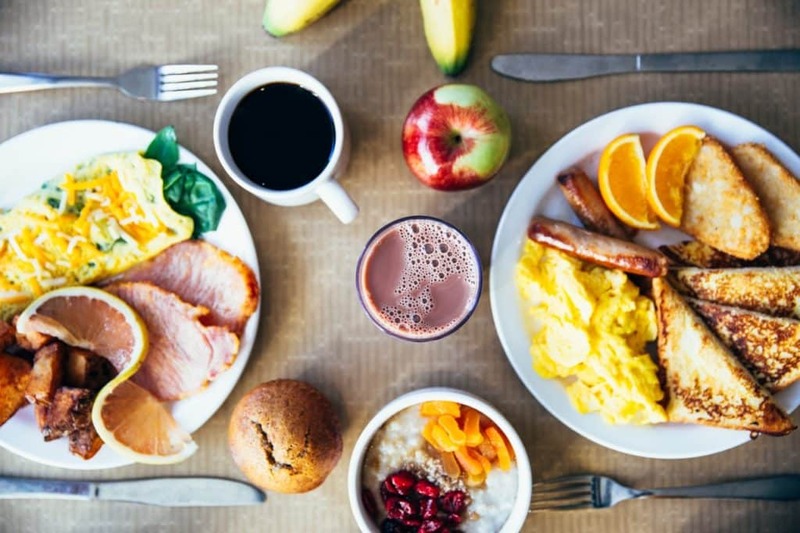 Click here to reserve your seat at our breakfast table! Did you find our tips for making better scrambled eggs helpful? This entry was posted in Food, Recipes, Tips and tagged bed and breakfast, better, how to make, recipes, scrambled eggs by joy. Bookmark the permalink.